Gao Yuanyuan (simplified Chinese :高圆圆; traditional Chinese :高圓圓; pinyin :Gāo yuányuán, born 5 October 1979) is a Chinese actress and model. Spicy Love Soup is a 1997 Chinese film directed by Zhang Yang and written by Zhang, Liu Fendou, Cai Shangjun, and Diao Yi'nan based on a story by Zhang and Peter Loehr. Spicy Love Soup was produced by Loehr's Imar Film Company, Xi'an Film Studio, and Taiwanese financing. Beijing Bicycle is a 2001 Chinese drama film by Sixth Generation Chinese director Wang Xiaoshuai, with joint investment from the Taiwanese Arc Light Films and the French Pyramide Productions. The film stars first-time actors Cui Lin and Li Bin, supported by the already established actresses Zhou Xun and Gao Yuanyuan. It premiered at the Berlin International Film Festival on 17 February 2001 and won the Jury Grand Prix, but was subsequently banned in Mainland China. The ban was eventually lifted in 2004. Shanghai Dreams is a 2005 Chinese film directed by Wang Xiaoshuai and starring Gao Yuanyuan, Li Bin, Tang Yang, Wang Xiaoyang, and Yao Anlian. The film was produced by Stellar Megamedia, Debo Films Ltd. and Kingwood Ltd.
Wang Xiaoshuai is a Chinese film director, screenwriter and occasional actor. He is commonly grouped under the loose association of filmmakers known as the "Sixth Generation" of the Cinema of China. The Jury Prize is an award presented at the Cannes Film Festival, chosen by the Jury from the "official section" of movies at the festival. According to film critic Dave Kehr, the award is "intended to recognize an original work that embodies the spirit of inquiry." Gao next starred in the romance film Love in the City (2007) opposite Shawn Yue, where she plays a deaf-mute kindergarten teacher. Her performance won her the Newcomer Award at the 11th Golden Phoenix Awards. Love in the City is a 2007 Hong Kong film directed by Jingle Ma. Shawn Yue Man-lok is a Hong Kong actor and singer. A former model, he has starred in many films such as Jiang Hu and Infernal Affairs II and has established himself as a recognisable face in Hong Kong cinema. Golden Phoenix Awards, China's equivalent to the Screen Actors Guild Awards, is a bi-annual accolade given by the China Film Performance Art Academy to recognize outstanding performances in film. In 1987, the first annual awards ceremony held in Guangzhou. City of Life and Death is a 2009 Chinese drama film written and directed by Lu Chuan, marking his third feature film. 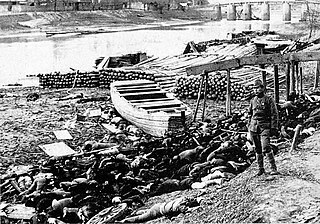 The film deals with the Battle of Nanjing and the following massacre committed by the Japanese army during the Second Sino-Japanese War. The film is also known as Nanking! Nanking! or Nanjing! Nanjing!. 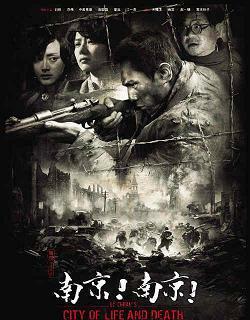 The film was released in China on April 22, 2009 and became a major box office success in the country, earning 150 million yuan in its first two and a half weeks alone. 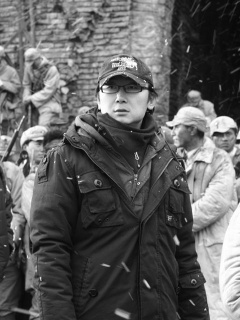 Lu Chuan is a Chinese filmmaker, screenwriter and producer. He is the son of novelist Lu Tianming. Wikimedia Commons has media related to Gao Yuanyuan . Yang Mi is a Chinese actress and singer. She made her acting debut in historical television series Tang Ming Huang, and later received recognition for her leading roles in various television series Wang Zhaojun (2007), Chinese Paladin 3 (2009), Palace (2011), Beijing Love Story (2012), Swords of Legends (2014), The Interpreter (2016), Eternal Love (2017) and Legend of Fuyao (2018); as well as films Mysterious Island (2011), Tiny Times (2013–2015), and The Witness (2015). In 2017, she won the Best Actress award at the WorldFest Houston International Festival for her performance in Reset (2017). Huang Shengyi, also known as Eva Huang, is a Chinese actress and singer. Tiffany Tang Yan is a Chinese actress and singer. She graduated from the Central Academy of Drama in 2006. In 2007, she was nominated for the Best Actress award at the Shanghai Television Festival for her film debut in Farewell for Love. She left her company Orange Sky Entertainment Group mid-2012 to set up her own studio. Jiang Wenli is a Chinese actress. A native of Tianjin, she graduated from the Beijing Film Academy in 1992. Yuan Quan, also known as Yolanda Yuan, is a Chinese actress and singer. She graduated from the Central Academy of Drama where she majored in drama. Mei Ting is an award-winning Chinese actress. Tong Dawei is a Chinese actor and singer. Tong is best known for starring in the television series Jade Goddess of Mercy (2003), Struggle (2007), and Tiger Mom (2015); as well as the films Lost in Beijing (2007), The Flowers of War (2011) and American Dreams in China (2013). Song Jia, also known as Xiao Song Jia, is a Chinese actress and singer. Ma Su is a Chinese actress. Xu Qing, known also as Summer Qing, is a Chinese actress. She was accepted into the acting class of Beijing Film Academy in 1988 and graduated in 1992. Bai Baihe is a Chinese actress. She was among the highest paid film actresses in China. She is best known for her roles in such films as Love is Not Blind, Personal Tailor, Monster Hunt and Go Away Mr. Tumor. Chen Jianbin is a Chinese actor active in television and film. He is most notable for the portrayal of Cao Cao in the 2010 television series Three Kingdoms; as well as his performance in Decade of Marriage, Qiao's Grand Courtyard and Empresses in the Palace. Deng Jiajia is a Chinese actress. Yuan Shanshan also known as Mabel Yuan is a Chinese actress and singer. She is noted for her roles as in the Gong series: Palace II (2012) and Palace III (2013); as well as Swordsman (2013) and Jian Bing Man (2015). Yin Tao is a Chinese actress. In 2017, she became one of the Chinese actresses to win the "Grand Slam", after winning the three biggest awards including the Feitian Awards, Golden Eagle Awards and the Magnolia Awards. Yao Di is a Chinese actress. Han Xue, also known as Cecilia Han, is a Chinese singer and actress. Qin Hailu is a Chinese actress, screenwriter and singer. She has won Best Actress at the Golden Horse Film Festival and Awards, Hong Kong Film Critics Society Award and Golden Bauhinia Awards. Wang Likun, also known as Claudia Wang, is a Chinese actress and dancer. She is best known for her roles in television series Seven Swordsmen (2006), Beauty's Rival in Palace (2010), Beijing Youth (2012), Miss Assassin (2013), Qing Mang (2013), Twice Blooms the Flowers (2015); as well as the movies Ex-Files (2014) and Somewhere Only We Know (2015). Wu Yue is a Chinese actress, best known in film for portraying Li Weihua in Chrysanthemum Tea, Chen Cuifen in Road to Dawn and Li Lianqiao in Former Wife, and has received critical acclaim for her television work, particularly as Wen Lu in Age of Peace and Dong Guilan in The Great China Earthquake. ↑ "5 questions with Gao Yuan Yuan". Today Online. November 22, 2013. 1 2 "Golden Gao". China Daily. August 24, 2007. ↑ "Almond-eyed actress". China Daily. October 27, 2009. ↑ ""Shanghai Dreams" Honored Jury Prize at Cannes". China Radio International. May 22, 2015. ↑ "Gao Yuanyuan in "Rob-B-Hood"". China Daily. September 7, 2009. ↑ "Jackie Chan Picks Gao Yuanyuan for New Film". China.org.cn. December 30, 2005. ↑ ""Love in the City" to premiere in Beijing". CCTV.com. October 1, 2007. ↑ "How the girl next door moved away and grew up". China.org.cn. December 23, 2008. ↑ ""Nanking!" Actress Gao Yuanyuan in Fright". China Radio International. April 2, 2009. ↑ "Be More Versatile in Acting: Gao Yuanyuan". China Radio International. March 2, 2008. ↑ "Hell of a story". China Daily. April 27, 2009. ↑ "'City of Life and Death' wins Spanish film award". The San Diego Union Tribute. September 26, 2009. ↑ "Chengdu film ready for release". China.org.cn. December 23, 2009. ↑ "《无人驾驶》爆激情照 高圆圆挑战大尺度床戏". Mtime (in Chinese). May 21, 2010. ↑ "In the mood for love". China Daily. April 11, 2011. ↑ "Johnnie To's drama to open HK Int'l Film Festival". February 28, 2011. ↑ "Gao Yuanyuan Portrays Annoying White Collar in "Caught in the Web"". Chinese Films. May 11, 2012. ↑ "China, Framed by the Cinema and the Web". New York Times. September 14, 2012. ↑ ""Human flesh search" film renews discussion of Internet vigilantism". Global Times. July 27, 2012. ↑ "Singles movie season gets under way". China Daily. November 4, 2013. ↑ "Gao Yuanyuan and Huang Haibo star in new TV series". Sina. November 4, 2013. ↑ "高圆圆回归电视剧 "咱们结婚吧"首播获好评". Mtime (in Chinese). November 8, 2013. ↑ "专访《咱们结婚吧》主演高圆圆". Mtime (in Chinese). April 2, 2015. ↑ "Gao Yuanyuan, Nicholas Tse Play Lovers in New Film". China Radio International. July 9, 2014. ↑ "Trier's 'Louder' wins Stockholm Film Fest's Bronze Horse – 'Ode' takes ten trophies at Grand Bell Awards". Arab Times. November 22, 2015. ↑ "A look at Juno Mak's gangster flick 'Sons of the Neon Night'". City of Fire. September 29, 2017. 1 2 "China cast in role of tourism hero". China Daily. April 15, 2013. ↑ "2012 fashion watch in China". China Daily. July 16, 2012. ↑ ""National Godess" Gao Yuanyuan married to Taiwanese Actor Mark Zhao". Sina. June 6, 2016. ↑ "A good man's evil secret". China Daily. October 26, 2007. ↑ "《 左右 》 明日开机高圆圆演老师". Sina (in Chinese). November 21, 2006. 1 2 "Mainland Actress Gao Yuanyuan Looking ahead". CRI English. October 30, 2008. ↑ "郭德纲演新版唐伯虎 《三笑之才子佳人》将亮相". Sina (in Chinese). March 3, 2010. ↑ "《海洋天堂》高圆圆扮文章母亲 银幕上投海自尽". Tencent (in Chinese). June 3, 2010. ↑ "《爱出色》拍摄完成 高圆圆王喜等大牌绿叶加盟". Sina (in Chinese). June 10, 2010. ↑ ""高海拔之恋Ⅱ"剧照 高圆圆遭王宝强当众抢婚". Mtime (in Chinese). January 11, 2012. ↑ "Gao stars again in To film". China Daily. May 30, 2013. ↑ ""单身男女2"曝高圆圆婚纱造型 吴彦祖客串现身". Mtime (in Chinese). September 10, 2013. ↑ "访《找不着北》里漂亮的"江欣"--高圆圆". Sina (in Chinese). April 3, 2000. ↑ "张博情迷高圆圆 出演《护国良相狄仁杰》". Sina (in Chinese). November 10, 2003. ↑ "《你在微笑我却哭了》高圆圆拒绝装嫩(图)". Sohu (in Chinese). July 5, 2004. ↑ "陈浩民高圆圆《烟花三月》演绎诗人容若(图)". Sina (in Chinese). July 27, 2004. ↑ "高圆圆贾静雯《神医侠侣》再续"倚天"情仇". Sina (in Chinese). July 18, 2003. ↑ "《天下第一》无锡开拍 李亚鹏情牵高圆圆(组图)". Sina (in Chinese). April 4, 2004. ↑ "组图：何润东高圆圆《秦王李世民》北京热播". Sina (in Chinese). March 21, 2005. ↑ "高圆圆再变苦情女强人 《爱无悔》凄苦迷离(图)". Sina (in Chinese). March 18, 2008. ↑ "《大秦帝国》将播出 黄健中：高圆圆就是白雪". Sina (in Chinese). December 17, 2009. ↑ "苏有朋、贾静雯、高圆圆客串新《天龙八部》". People's Daily (in Chinese). January 16, 2013. ↑ "Glamorous Encounter". China Daily. April 5, 2007. ↑ "电影表演艺术学会奖揭晓". Sou (in Chinese). August 8, 2007. ↑ "第十八届春燕奖 高圆圆获最佳女主角奖". Sina (in Chinese). August 9, 2015. ↑ "第52届韩国大钟电影节完整获奖名单". Sina (in Chinese). November 20, 2015.